Congo Week is the celebration and promotion of Congolese culture. Every year they promote DRCongo by celebrating and/or discussing a specific theme. 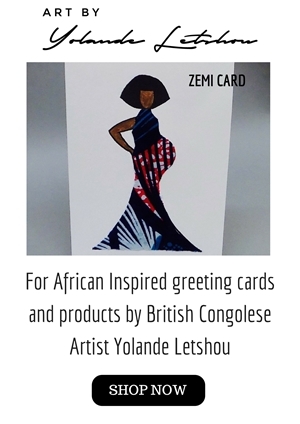 It is also about highlighting the significant roles of Congolese women in our society. 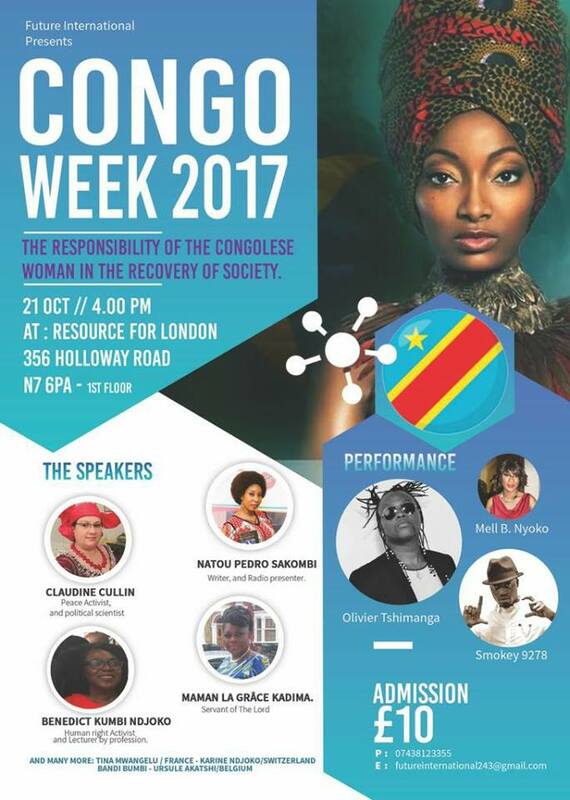 This year they are celebrating and honouring Congolese women whom they believe are the strongest asset of our country. 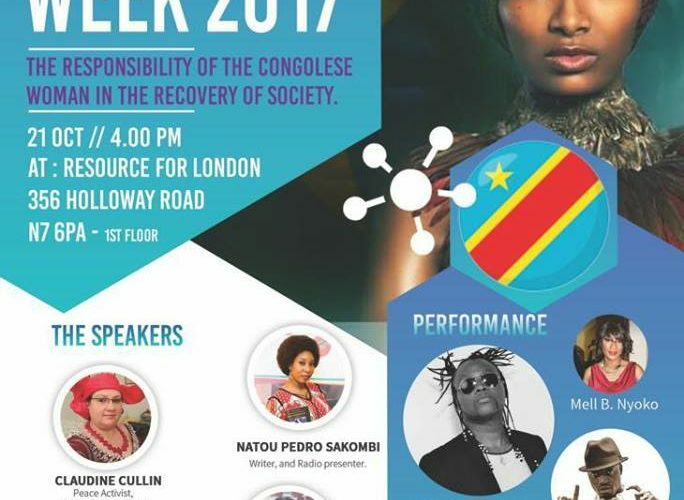 Many speakers will engage with the audience to debate one main top topic: “The responsibility of Congolese woman in the recovery of our society “.